There is no deny in the face that Snapchat has gained immense popularity in recent years. However, some users do not like the application and get tired of it very soon. 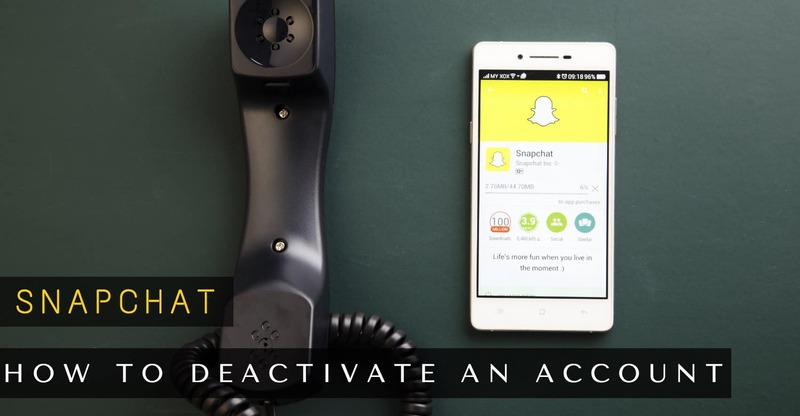 Are you one of those users and want to delete or deactivate your Snapchat account? 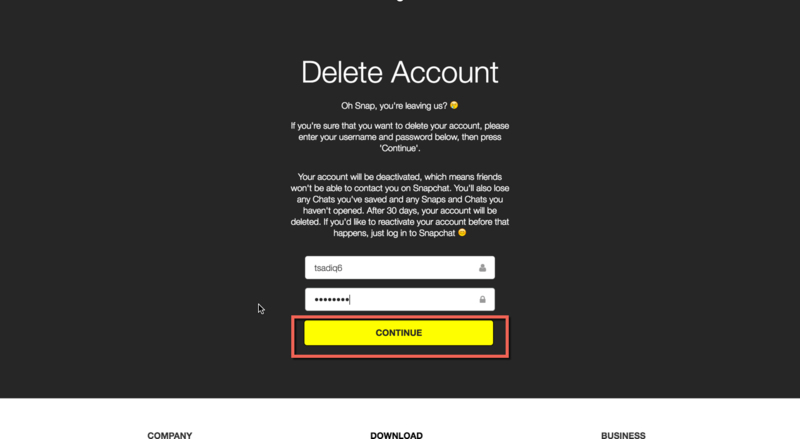 Unlike the Signup, users can not simply deactivate or delete the Snapchat account from an application, but they will have to use a particular link to deactivate the Snapchat account. 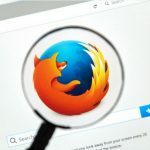 These methods will help you to deactivate or delete the Snapchat account from a web browser on the computer or your Smartphone. Just like other popular services, you cannot just delete your Snapchat account overnight. However, you will have to deactivate the account first and then you will be given 30 days to reactivate the account. All you will need is the Snapchat username and password to deactivate or reactivate the account. 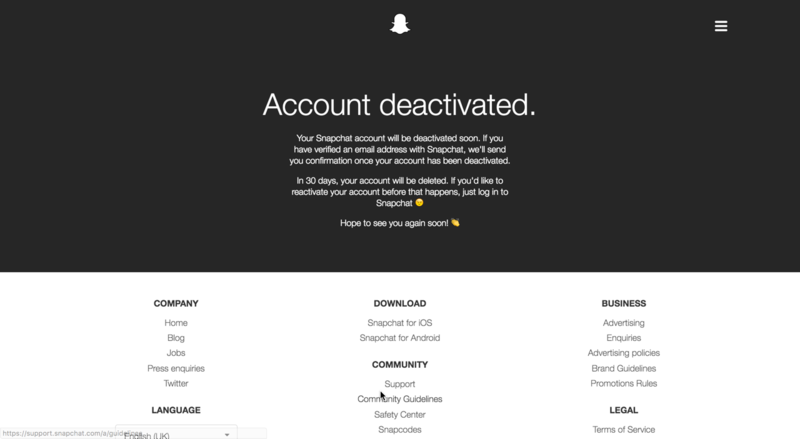 Here’s the step by step guide on how you can deactivate the Snapchat account. Click Here to navigate to the Snapchat deactivation page. The web page is pretty simple asking you to enter the username, password and verification to deactivate the account. Now, enter the Snapchat username and password, user name not your “First” or “Last Name”, rather it is the username that you chose while signing up for the Snapchat. If you have forgotten the username, open Snapchat on your mobile phone and swipe from top to bottom and there you will find the username of your account. 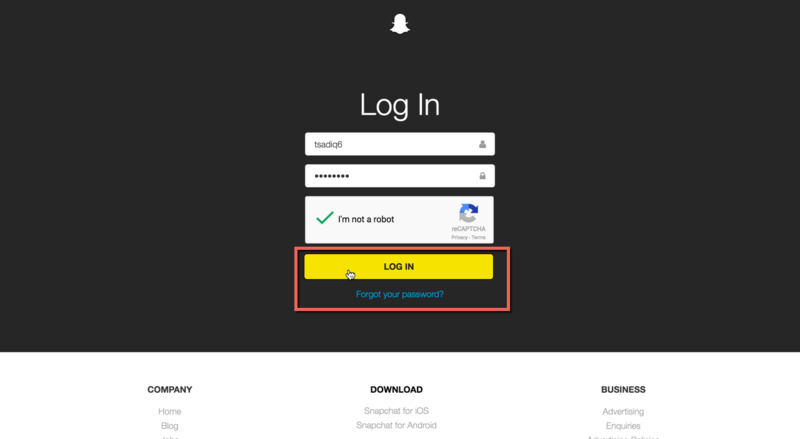 Enter the password of your Snapchat account, check the “I’m not a robot” option and finally click on the “Login” button on the screen. On the next screen, you will have to enter your password again. After doing that click on the “Continue” button as shown in the screenshot below. As soon as you hit the continue button, it will deactivate your Snapchat and show you a successful dialogue on the screen. If you want to delete the account permanently, we will recommend you delete the Snapchat application from your iPhone or Android Phone. iPhone users can tap and hold the Snapchat account to put the phone in the jiggle mode. Once the phone is in jiggle mode, you can tap on the cross button to delete the application. 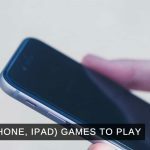 However, Android users can follow the same method or go to “Settings > Applications” and tap on “Snapchat” and press “Uninstall” button to delete the application. If you have forgotten the password of your Snapchat account, click on the “Forget Password” button in the first step and follow the instructions to reset the password. If you have used an Email address, you will receive an Email to change the password or for the phone users, they will receive a text message to reset the password of your Snapchat. The latest version of Snapchat also offers “Memories” which will let you save the Snaps on your Smartphone. So, we will recommend you to make a backup of all those memories before deactivating the snapchat account.